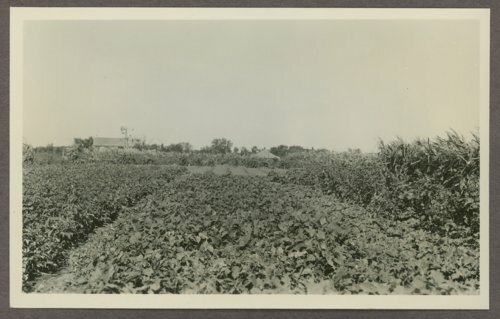 This is a photograph showing the community gardens in Norton, Kansas. Water for irrigation was pumped from a nearby creek. The photograph was removed from the Relief Garden Program of 1935 portion of the Kansas Emergency Relief Committee collection.